Creation myths are stories about the birth of the world. They exist in just about every culture and reveal how people in ancient times speculated about how the world may have emerged. Creation stories were their kind of cosmological research, albeit of a very speculative nature. Therefore, the creation myths reveal a lot about the thoughts of human beings in the very distant past - how they saw the world and tried to understand it. Since their minds were not very different from ours, their myths also teach us a lot about ourselves. How stories of the beginning might have begun. An introduction in depth to my ongoing dissertation on creation myths, where I speculate on how the myths emerged at the dawn of human civilization and what shaped them. Creations stories have appeared in just about every culture and mythological tradition. They differ tremendously, but also have several patterns and ingredients seemingly in common. These similarities can be traced down to how human speculation about the birth of the world was likely to begin and what inspired it. Also, many similarities between creation myths have to do with the narrative, the rules of telling a story - especially one dependent on oral tradition. Click the header to read about it. The Bible begins with two separate creation stories, differing significantly from one another - Genesis 1 and 2. Genesis 1 is the first and probably the oldest one. 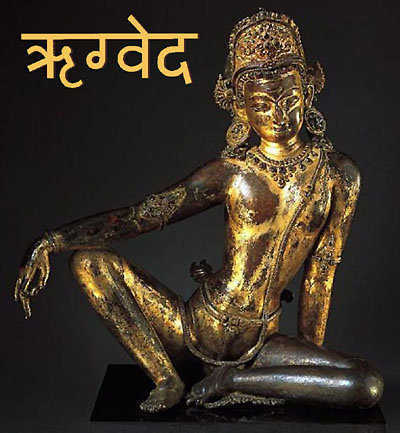 In this text I discuss how to analyze and understand the myth, especially the cosmology it indicates. I also quote some of the Genesis commentaries made by St. Augustine and Martin Luther, who both contributed to shed light on how the Bible was perceived in the past. Click the header to read about it. One of the very oldest creation myths we have documented in its ancient form is Enuma Elish, the Babylonian creation story. Here I write at some length about its content and how to interpret it, especially its introductory part in which the world is created and the gods have their initial battle for sovereignity. It is a theme that can be recognized in many other creation myths. 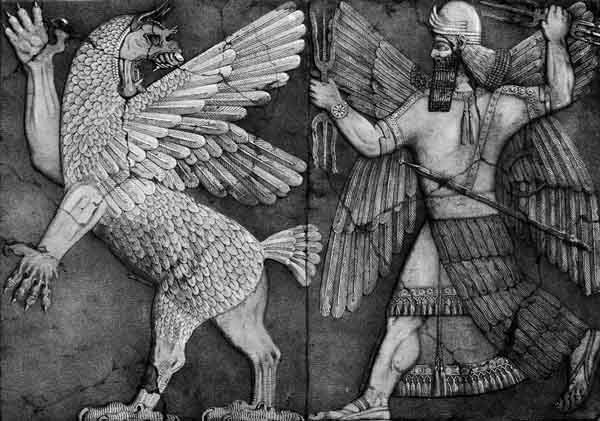 In Enuma Elish, the babylonian god Marduk defeats the gods of old, inherited from neighboring cultures, including the divine couple making the world appear when they join. Click the header to read about it. Every creation myth wrestles with the same problem as science does, when it comes to how the world began: What was before it? Rig Veda, the ancient collection of hymns from India, also speculates about it - with thoughts that are perfectly relevant to us today as well. It's in the famous hymn Rig Veda 10:129, which ends in what almost seems like a joke. Click the header to read about it. 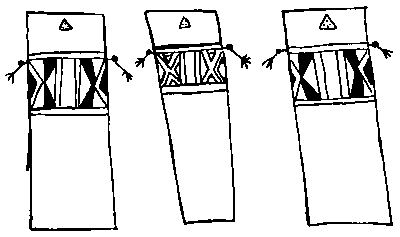 The Xingu Indians in Brazil seem not to have a myth about the world creation, or it has not yet been revealed by the anthropologists. But they do have other emergence myths. Here is the one about the birth of man, which is quite a sad story. Click the header to read about it. How to understand and explain myth and fable? Here are the major theories through the centuries about the meanings of mythology. Click the header to read about it. 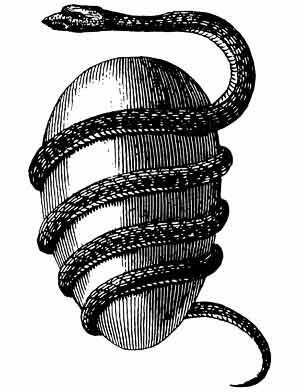 The basic patterns and structures of myths in general, and creation myths in particular. Discussion on what constitutes a myth and what the rules are for its form and content. Six criteria are used to decide what is and what is not a myth, and these criteria also define the necessary structure of it. There are two kinds of myth: explanatory (like creation myths) and adventures (mainly hero stories). As for the former, there are additional rules regarding dramaturgy and time-space dimensions. Click the header to read about it. 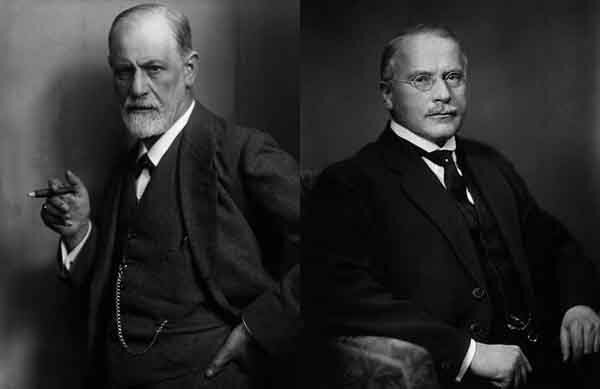 Here are the theories of Sigmund Freud and Carl G. Jung on myths and their origins. Both pioneers of psychoanalysis wrote extensively about myth and its significance in human culture, speculating quite daringly about how myth emerges and what can be learned about our past and our present from it. Freud was particularly interested in myths about the appearance of gods and men, whereas Jung saw a pattern of archetypes in every myth of whatever content. This text is on my personal website stenudd.com. Click the header to go there. Introduction to the nature of creation myths, their structure and the thoughts behind them. This is a short article explaining my angle on creation myths, their structure, meaning, and what can be learned from them about human thinking in the distant past as well as the present. The text is on my personal website stenudd.com. Click the header to go there. What the Greek philosophers wrote on myth and cosmology. 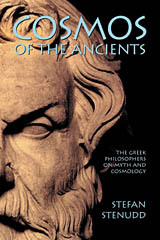 The legendary philosophers of Ancient Greece pondered the gods and the origin of the world at depth. Although they lived in a time when the gods were feared and worshipped as if very real indeed, most of them doubted their existence - at least in the way the gods were portrayed in mythology. The Greek philosophers had alternative views on cosmos and the divine, being much more similar to present day understanding of such matters. Here, the cosmological ideas of each one of the Greek philosophers is presented and compared. The texts are on my personal website stenudd.com. Click the header to go there. There are countless examples of life energy ideas in the many cultures of the world, from the dawn of human civilization to the present. I've gathered all these concepts and similar ones (it took a few years), listing them in a little Life Energy Encyclopedia. There are indeed many near-synonyms to the life energy concept, as we know it from the Latin spiritus, the Greek pneuma, the Indian prana, the Chinese qi (or chi), and so on. But here are also many concepts that have been regarded as examples of a life energy, although at closer examination it's clear that they are not. Beliefs from distant times and cultures are not that easy to comprehend, so we frequently fall into the trap of expecting them to be exact counterparts to ideas of our own past. That's far from always the case. Those concepts that are indeed examples of a life energy, though, show several similarities - but still some significant differences, which help us to understand the life energy idea in the mind of man. 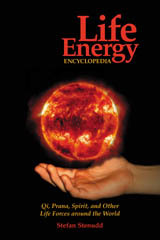 The texts are on my website devoted to life energy ideas. Click the header to go there. How stories of the beginning began. Theories through history about myth and fable. The mythological symbols and what they stand for. The paradox of origin, according to an Indian myth. The first creation story of the bible scrutinized. 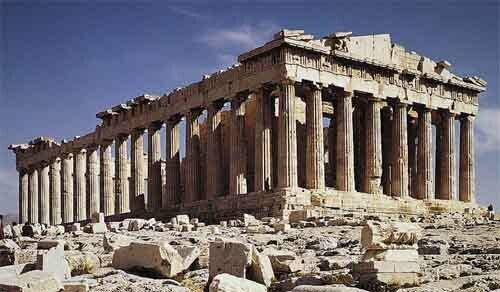 The insoluble solitude of gods and humans. What Sigmund Freud and C. G. Jung thought about myths, their origins and meanings. An introduction to the subject of creation myths and the patterns of thought they reveal. What the Greek philosophers believed about the cosmos, their religion and their gods. The many ancient and modern life force beliefs all over the world explained. Taoism, the ancient Chinese philosophy of life explained. Also, the complete Tao Te Ching online. The Greek philosophers and what they thought about cosmology, myth, and the gods. Click the image to see the book at Amazon. Fiction. 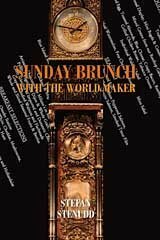 A brunch conversation slips into the mysterious, soon to burst beyond the realm of possibility. Click the image to see the book at Amazon. 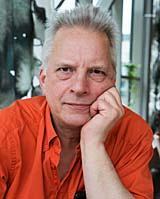 I'm a Swedish author and historian of ideas, researching the thought patterns in creation myths. I've also written books about Taoism, the Tarot, and life force concepts around the world. Click the image to get to my personal website.